Here you can see both traditional Taiwanese cuisine and western Taiwanese cuisine. We have both Taiwanese food and Western food in Taiwan. Bubble Mike Tea is favorite drink in Taiwan. 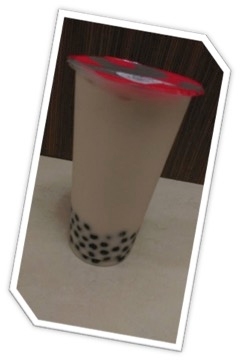 The bubble mike tea is representative of the〝QQ〞food. The words for 〝QQ〞the food is very chewy. The bubble is made up by sweet potato starch. If you don't want to drink mike tea, you can put another drink instead mike tea like black tea.